With the Accessible India Campaign and the RTE act, India is now on its way to becoming a more Inclusive nation. You are invited to be part of this journey. ​Children with Special Needs are now seeking and granted admission in every school. To make their learning experience comfortable and beneficial, Shadow Teachers are needed for support in big numbers. To address this need, we conducted our basic course in Shadow Teaching. 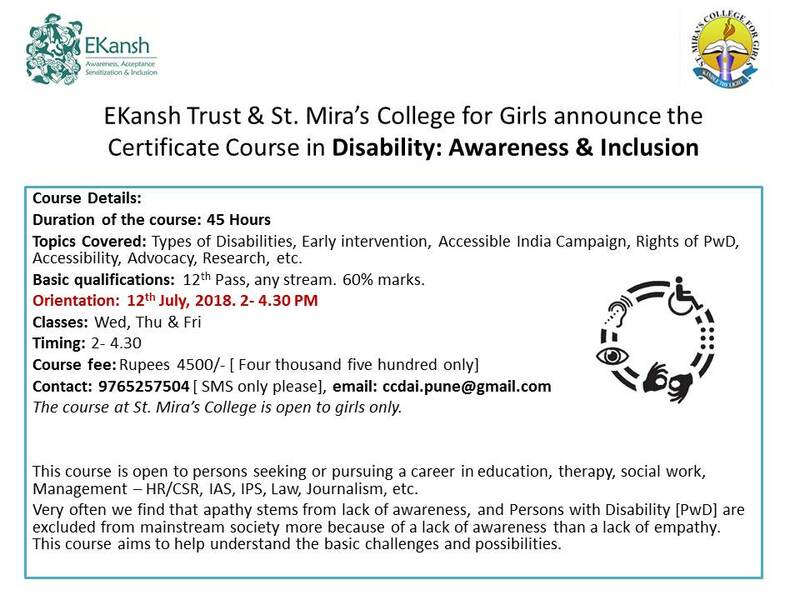 EKansh Trush in collaboration with St. Mira’s College for Girls launched the certificate course in Disability: Awareness & Inclusion on 19th July, 2018*. The modest launch ceremony was attended by Anita Iyer Narayan, founder of EKansh Trust who conceptualized and designed the course, Dr. Gulshan Gidwani, Principal of the college, Dr. Jaya Rajagopalan, head of the Psychology Department, Ms. Sharmin Palsetia, Professor Psychology, Ms. Jyoti Nair & Ms. Mansi Mehta both parents of children with special needs and Ms. Aparna Modak from EKansh Trust. ICDS supervisor Ms. Nirmala Kamble was also present. EKansh has done extensive work in slums and semi urban areas for early intervention advocacy. Sumit Tak who has Hemophilia, and Prashant Gaikwad who is hearing impaired, both associated with EKansh Trust for a long time were present. The Commissioner, Department of Empowerment of PwD, Maharashtra, Shri Ruchesh Jaivanshi arrived in time to see the students answering their first questionnaire. Dr. Indira Parikh, ex IIMA and Flame University sent her message via email. She is on the advisory board for the course. The course was supposed to be launched as part of the Centenary Celebrations of Spiritual Guru, Dada J P Vaswani. Over 62 students have signed up for the course. They were all present at the event. The idea behind the course is to spread awareness about the various kinds of physical, mental, intellectual and learning disabilities, their implications, early intervention, rights of Persons with Disabilities, etc. 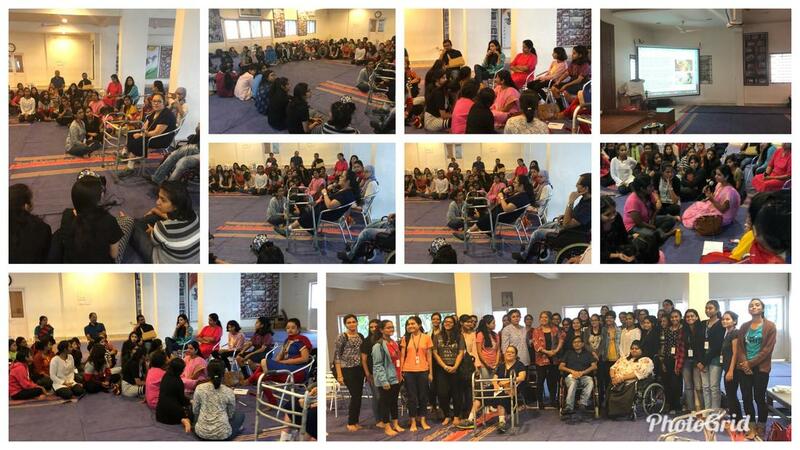 The steps before inclusion are awareness, acceptance, sensitization and accessibility. These have to happen on multiple levels and the course seeks to focus on equipping students with enough information and guidance to be able to understand these steps better. Anita Narayan is happy to be launching this course at St. Mira’s College for Girls and hopes that everything she has learnt in her journey will benefit the students through this course.The principal Dr. Gidwani also reiterated that this course is important and that many more such efforts must be made together. Dr. Jaya underlined the importance of awareness in the age of information and growing numbers of persons with different types of disability. Jyoti Nair who has a master’s degree in science said that she was unaware of what Autism meant when her daughter was diagnosed. Sumit spoke about Hemophilia and lack of awareness in society. Aparna Modak also mentioned how she has done her MSW but has learnt all she knows about disabilities and the implications at EKansh Trust. Pf. Sharmin Palsetia was the compere for the event. The Commissioner [Dept. PwD] was very impressed with the course content explained by Anita Narayan and has asked for regular feedback on the progress of the course. He also mentioned how he has been in his post for two months and is learning something new everyday inspite of his knowledge and experience. He believes that such courses would create a lot of awareness beyond the classroom also when students begin to advocate inclusion. EKansh Trust has received invitations from other colleges also to run this course in collaboration with them. Osteogenesis imperfecta, spina bifida, hemophilia, autism, cerebral palsy, blindness, hearing impairment, down’s syndrome... If we don’t know what these terms mean...in the dictionary and in real life, how will we understand inclusion? The first step is always awareness! Our certificate course students meet persons with disabilities and have actual conversations using words they hadn’t heard before. What began as an exploration of home schooling options has stretched to include parents of children being home schooled or attending special or mainstream schools. The idea is for parents living in nearby areas to connect and support each other. Therapists, counsellors, teachers, etc. can be sourced and invited for consultations too. Academics can also be supported through these hubs. Parents will run the hubs, with EKansh organizing meetings and workshops as and when requested to. We have offers for hubs to be managed in Aundh and Kharadi. More parents are requested to step forward. Hub activities can be held in different spaces in these areas depending on availability and convenience. ​Ekansh Trust is only a facilitator. 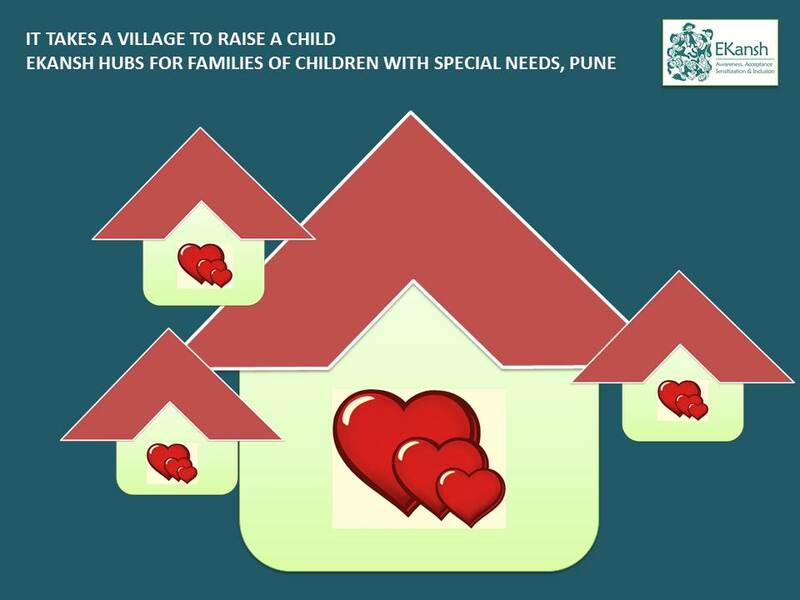 The hubs are for, by and of Parents of children with disabilities.